Temple Beth Am is guided to tikkun olam through social action and the pursuit of social justice by providing extra assistance to those potentially at a disadvantage. The actions are part of tzedakah, which is a Hebrew word for the acts that we call “charity”, also translated to mean righteousness, justice or fairness. The Social Justice Committee has a lot of really great ideas to tackle the many different types of issues in the MetroWest and larger communities: hunger, poverty, drugs/alcohol, refugees, family issues, Israeli projects, kids without shoes, coats or diapers, seniors in need of help around the house & parents who just need a break. Our goal is to unite the different fronts in order to provide solid Social Action. The Social Action Committee requests your input. 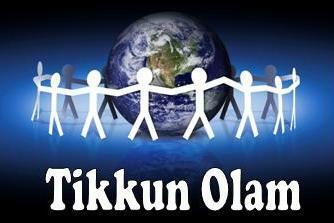 There are many opportunities to improve and repair the world (tikkun olam); we want to make sure our programs are meaningful for the giver as well as the recipient. The Social Action Committee is very excited to get YOU involved. We CAN make a difference. Together.